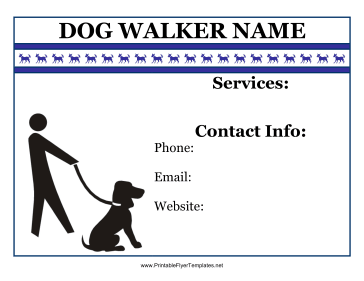 A fun dog walking flyer like this is sure to get people interested in your services. A border of dogs and a picture of a puppy being walked will help attract attention of dog owners. When you add your contact info, you're sure to start getting calls in no time!